I have just reached the end of a podcast that have been my regular auditory stimulation while driving, as well as during tedious jobs in the lab. 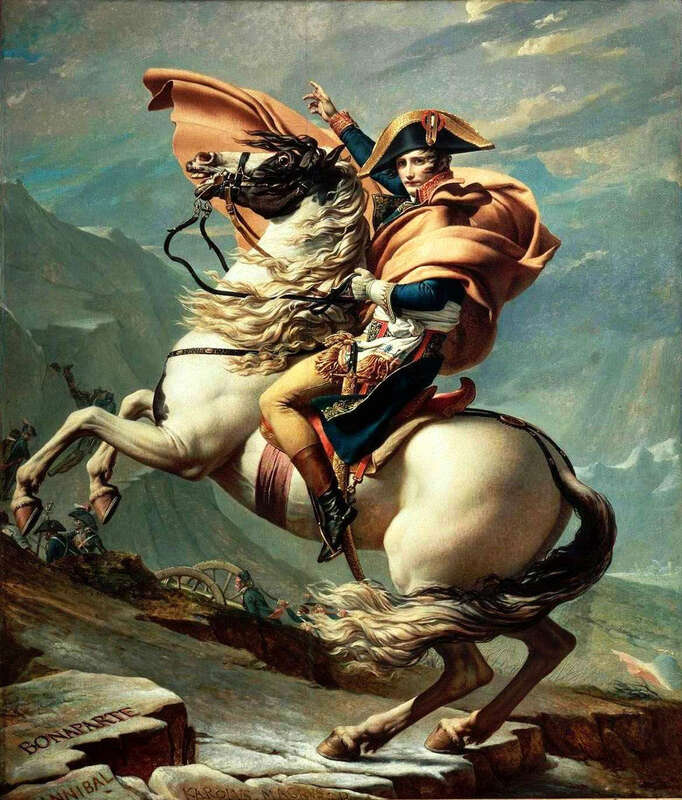 The podcast is Napoleon 101 from The Podcast Network, and as the title suggests, is about Napoleon Bonaparte, Emperor of the French, King of Italy, Protector of the Confederation of the Rhine, etcetera etcetera. I didn’t know very much at all about Napoleon when I started listening to the show, and must say that I’ve been duly educated, and impressed. As is perhaps common, I had a vague image of a rather short man who spent the majority of his time waging war across Europe. Among other things, I now know that at 1.7 m, Napoleon was really of average height, and that while he did wage war almost continuously during his rule of France, more or less every one of those wars were initiated by the various (other) monarchs of Europe, for various reasons. The podcast was very well done. Professional and academic, based on fact rather than opinion, and the historian involved (J. David Markham) was clearly an expert on Napoleon. They went through Napoleon’s life chronologically, over 45 episodes of typically a bit over an hour. This meant that you could get a much more faceted impression of the man, rather than just the ruler, or soldier. Both the hosts are “pro Napoleon”, and I must say that the show was a tad biased towards his good sides (after doing some additional research). That being said, they didn’t nearly leave out all the bad stuff. It might be described as a 60/40 thing, if not for the fact that honestly there was a lot more good stuff than bad, by any account. If I had any criticism, it would be that they sometimes repeated themselves from episode to episode (though to be fair, it was a month between making them, and I’m listening back to back). Honestly, Napoleon Bonaparte was an amazing character. Commanded the French army at age 26, a military mind that continuously astounded the rest of Europe, going more or less undefeated on the field for decades. And not only did he win, but after beating e.g. the Astrians, he wouldn’t crush them, but rather agree to rather fair peace treaties. Even though his enemies broke such treaties time and time again. But aside from that, a masterful politician and ruler, who reorganized the civic systems of several countries in which he had military success (both as Emperor and when he was only a general): He established a true meritocracy in France, where government and military positions were gained by merit rather than birthright; part of this was the institution of the Legion d’Honneur, which is still the highest decoration in France. He also established freedom of religion in France, improved infrastructure, the school system, and established the national bank. Further, his civil laws, now known as the “Napoleonic Code”, were perhaps the most significant factor in establishing the Rule of Law in the Western world. All in all, a great man. And I can very much recommend the podcast to anyone interested in great men, or simply in history. Interesting to see you’ve kindled an interest in The Little Colonel. I’ve been a fan since my young wargaming days, and indeed, he was a great man. But like many, he overstayed his welcome. ultimately he overreached – did he really need to invade spain egypt and russia? Napoleon also has an under-appreciated role in American history. The Louisiana purchase – so critical to American expansion – was entirely a result of Napoleon’s insatiable need for money to fight his wars. The napoleonic code is the basis for jurisprudence in Louisiana. Hi solarhaphaeriom, so very glad to hear you enjoyed our little show! Yes, we’re biased in Napoleon’s favour, and happy to admit it. He certainly wasn’t perfect – he made his share of mistakes, he became pretty arrogant, but over-all I think he was not only a military and political genius, but also usually had the right intentions. Thanks for the review!